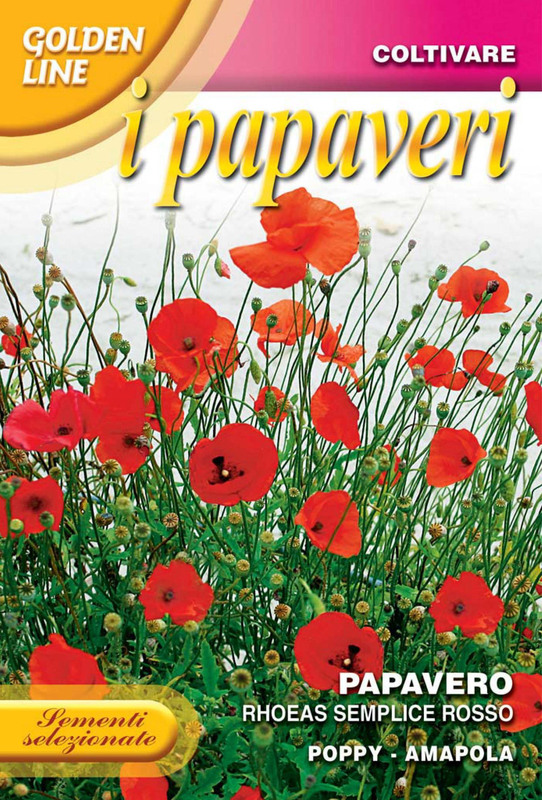 Many flowers are known by the name of “poppy.” Some are annuals, some perennials. Some are in the genus Papaver, others in the genus Meconopsis, and still more Eschscholzia. Some are wildlfowers that grow and spread readily, some are fussy and expensive perennials. The varieties that we sell at Seeds from Italy are all annuals that are easily grown from seed. The key to success with our poppies is to plant them from fall to late winter on disturbed soil and don't cover them. Poppy seeds need cold and light to germinate. Many growers find that the perfect time to plant poppy seeds is when you have some snow on the ground. Just sprinkle the poppy seeds on top of the snow where you want them to grow, and they will be in perfect shape to germinate and grow when conditions are right. Their lacy blue-green foliage emerges in late spring and they bloom in early summer. Once established, they will reseed for years. McCrae’s poem was published in London on Dec. 8, 1915, and eventually gained worldwide attention. In 1918, an American woman, Moina Michael, published a poem of her own called “We Shall Keep the Faith,” and vowed to wear a red poppy as a symbol of remembrance for lives lost. Within a year, the poppy was adopted as a symbol by veterans groups in the U.S., Canada, France, England, and elsewhere. The American Legion still sells the poppies as a charitable fundraiser, mostly around Memorial Day, but also on Veterans Day. Wreaths made of red silk poppies are traditionally laid on veterans’ graves on days of remembrance. Red poppies are still found growing wild in fallow farm fields and meadows, often in a colorful mixture of wildflowers that include cornflowers and daisies. Field poppies are in the genus Papaver, along with the Glaucum poppy and the Shirley poppy. California poppies, native to North America, are in the genus Eschscholzia, but are grown the same way.